Do you need to find the best nursery school in Oxford and you don’t know how? If you need to go back to work and rely the daily care of your baby to someone else you are in the right website. There is nothing more important for parents than baby care. 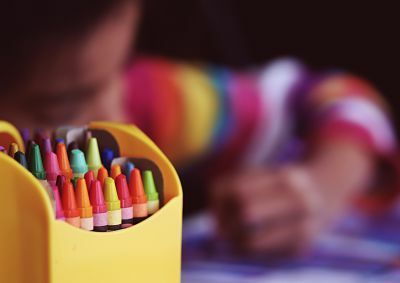 We are well aware of that and for this reason we would like to help you with some tips you should take into account when choosing a nursery in Oxford. It might look difficult to choose the best nursery among all the day care centers in Oxford but here you got some keys. What do you need to look for in a toddler nursery? Location: You don’t have to choose the closest nursery straight away, but if your commute to work is already complicated, there is no need to drive all around Oxford to take you kid to nursery. You should try to find a good nursery nearby your area. Nursery prices: remember that the most important thing is the quality, but this doesnt mean you have to pay an unbelievable amount of money. You will find good places in Oxford for a good price. Also it would be interesting to ask whether they work with vouchers. Some companies provide parents with childcare vouchers that can be used at nursery schools as a disscount. You can organize nursery visits where they will show you the place and they will let you know more about their kids nursery. To find a nursery school in Oxford you also have to think about the development and learning support you are looking for. Even if your kid is small, nurseries use to go further than changing nappies and feeding the kids. A large amount of nurseries in Oxford offers teaching throughout the toddler experience. Nursery rhymes, special toys and instruments for example. You can ask them wheteher they work with an especific method if you are interested. Where do you find the perfect nursery school in Oxford? As we said, in Infoisinfo we know how much you care about your children. We would like to help you by offering you an interesting list with the best nurseries schools in Oxford. You will also find useful valorations and comments that help you in your decission and you can share your opinion and help others.